Let us end that Diarrhea! 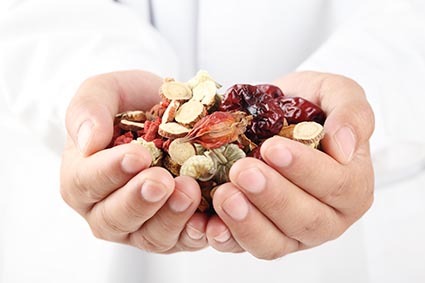 One of the most intriguing characteristics of traditional Chinese medicine is its ability to appeal to the rationale of people who have little or no experience in matters pertaining to health. While it should be remembered that the practice of medicine—or the art and science of treating disease—requires an in-depth study of the biological and medical sciences, it is Chinese medicine’s ability to bring all of these complex subjects together and present them in the simplest terms that I appreciate. The uncomplicated way that diarrhea and its treatment are viewed by traditional Chinese medicine is a good case in point. Simply put, diarrhea is defined as having loose, watery stools. Diarrhea can be mild or serious; it can be acute, sudden, and severe or it can be chronic, mild, and reoccurring. Acute diarrhea is usually caused by bacterial infection, food poisoning, lactose intolerance, or the side effects of certain medications. Chronic diarrhea is usually caused by Crohn’s disease, irritable bowel syndrome, malnutrition, intestinal cancers, or an imbalance of the stomach and spleen. Adults—if diarrhea lasts more than three or four days and shows no signs of ending, seek professional help. Infants and Small Children—diarrhea should be taken seriously. If it lasts throughout one full day and persists into a second day, seek immediate professional help. The chief symptoms of diarrhea are 1) dehydration, which is caused by fluid loss; 2) general weakness, which is a result of a lack of nutrient absorption; and 3) bacterial infection, which is only present when unclean food has been eaten. Treatment should include 1) rehydration, to replenish the lost fluid with broth, soup, and water and 2) controlling the infection. In cases of bacterial infection, herbal formulas should be used that contain antibiotic herbs, which will reestablish the balance between the small and large intestines and end the diarrhea. Unlike most of the over-the-counter drug store remedies that act like a plug to stop the diarrhea—and thereby keep the infected material inside the body instead of allowing it to come out—the Chinese herbal formulas that are listed below are based on principals compatible with this treatment plan. Acute (short-term) use is recommended.